CrossFit, running, skiing, basketball, baseball, etc. then you know how hard it can be on your knees. 1. We are honored to offer you samples for free so as we can establish long kind friendship. 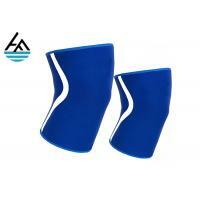 How to choose suited knee sleeve for your market? We make the knee sleeve with neoprene(middle layer) and one side small diamonds fabric,one side nylon fabric (outside and inside). So it will be more durable and very well fit for your weightlifting market? Imitate nylon:little difference with nylon,most pattern printing,ordinary color. Mutispandex:the special material for pattern printing,light color,little elasticity. Heat-transfer printing:special pattern and logo printing. Digital printing:Irregular pattern and logo printing,light color,better elasticity. 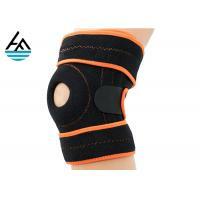 2 ) Neoprene Knee Sleeve provides an adaptive level of stabilization and support for the knee. 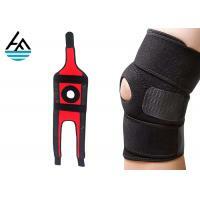 And it is the best protection of knee during all sports.It is the best choice for all athletes. 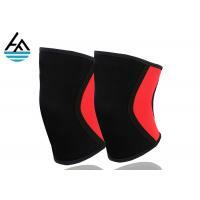 Our knee sleeve is pretty comfortable and durable because of our curve design,wrap to your leg well. Firstly,our advantage is competition price,because we have our own factory and material supplier,we produce all raw materials by ourselves.and there is no additional cost. Secondly, our factory TOP Mangament has over 16 years relevant neoprene series experiences, and the Pattern designer has over 12 years experiences and most workers from development center and product line are over 5 years experiences. Many different design,many colors,and variety of customized pattern printing,make your products will be competitive. Low MOQ:Because we always produce the knee sleeve every day,so many different material in our stock,so small order is welcome too,and make for you quickly.It can meet your promotional business very well. We have own designer,we can provide some design service for you free. bottle cooler bag and so on. Most of our products are exported to Europe, the United States, Latin America, South Africa and the Middle East. We believe that on the basis of equality and mutual benefit, we and our partners will surely advance towards success. Shanghai huaifan Trade Co.,Ltd was built in 2016, we focus to neoprene rubber products. Our founder has over 8 years of neoprene manufacturer experiences,now we active to expand our sales rout and we would like to build partner relation with cutomers. We supply neoprene rubber products, good service, good communication and competition price to our customer.